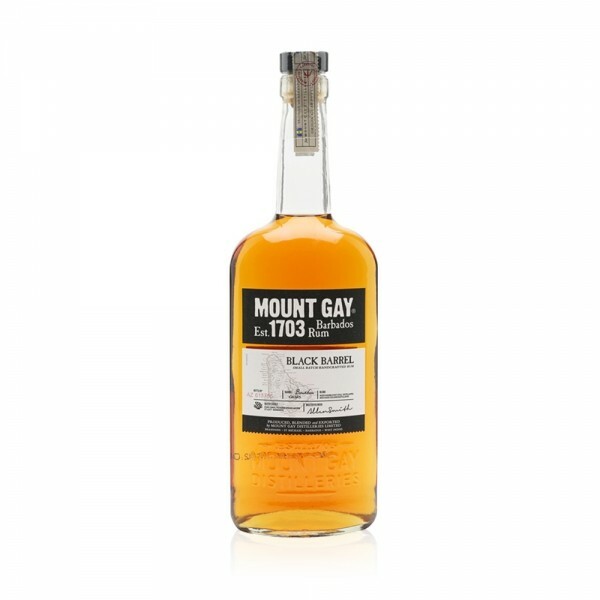 Mount Gay Black Barrel Rum is a superbly rich and smooth rum, originally created to commemorate the 310th anniversary of the Mount Gay Rum estate in Barbados. A firm favourite amongst rum drinkers, Black Barrel is made from single column and double pot distilled rum and finished in heavily charred bourbon barrels before being bottled. This results in a rich, warm nose of sultanas, black pepper and creamy vanilla, which opens to further spice, cinnamon, liquorice and more vanilla on the palate and a long balanced finish, drifting between sweet and spice. Sublime sipped neat, and brings a new dimension to fans of rum and coke.